We’re up bright and early, partly due to worrying about frostbite in this chilly little house and decide jumping into a car with not only a heater but heated seats will be a good idea. The scruffy dog leaps out from the bushes as I get to where I parked the car, determined not to let us leave without saying a lengthy goodbye. He brings me a filthy and much chewed stick which is almost as unwholesome as himself and I throw it for him for a while. He’s a gorgeous dog and a real character. We will miss him and I tell him so. I glance at the rear view mirror as we leave and he is sitting on the car park looking absolutely bereft. I’m so relieved we’ve only stayed for one night; any longer and I’d have smuggled him into the back seat. Marigold decides today she would like to choose our route solely on which place name takes her fancy, so that’s what we do. It’s not sensible, it’s not particularly practical, but we do it anyway, so be aware if you ever wished to recreate today’s odyssey, there are easier ways of getting from place to place. Even so, ‘a good traveller has no fixed plans and is not intent on merely arriving,’ as Lao Tzu said. He also gave the world ‘a journey of a thousand miles begins with a single step,’ and several other quotes that have become part of everyday language. Not bad for someone who died in 531 AD, so there’s hope yet for Marigold’s undoubted wisdom to be recognised, eventually. Random directions are one of the chief joys of travel and today throws up some unexpected gems. We set off up the very steep track, very relieved not to meet anyone coming the other way, and head for Atalbeitar, the nearest village. It turns out not be car friendly as there’s no access road and only donkey tracks leading into and throughout the village. We don’t see any donkeys, but don’t see any people here either. We brave the morning chill and wander around a bit. 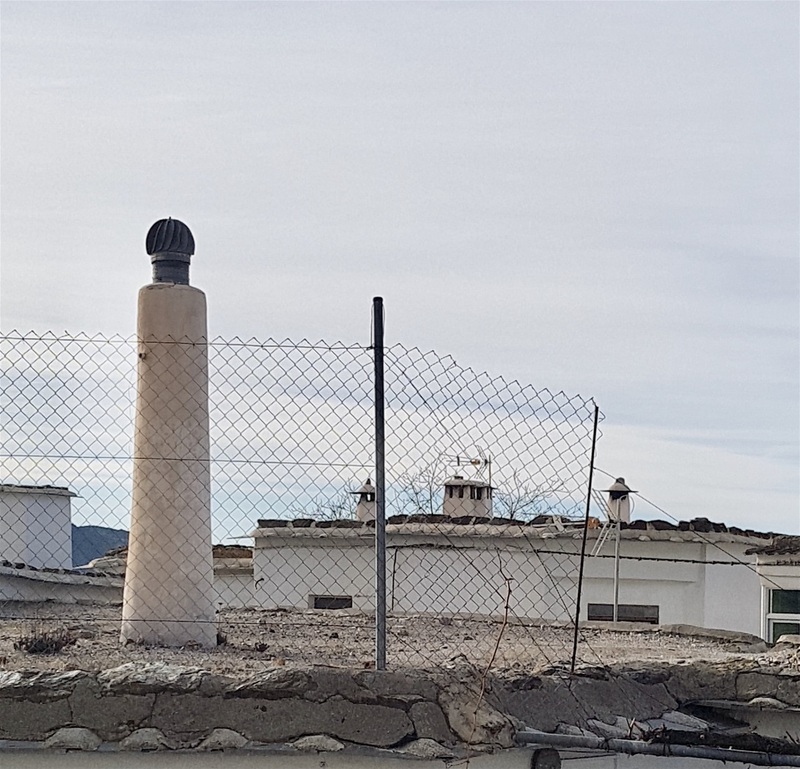 There are no shops, no bars and seemingly no inhabitants but a couple of smoking chimneys suggest they are inside keeping warm, sensible folk. 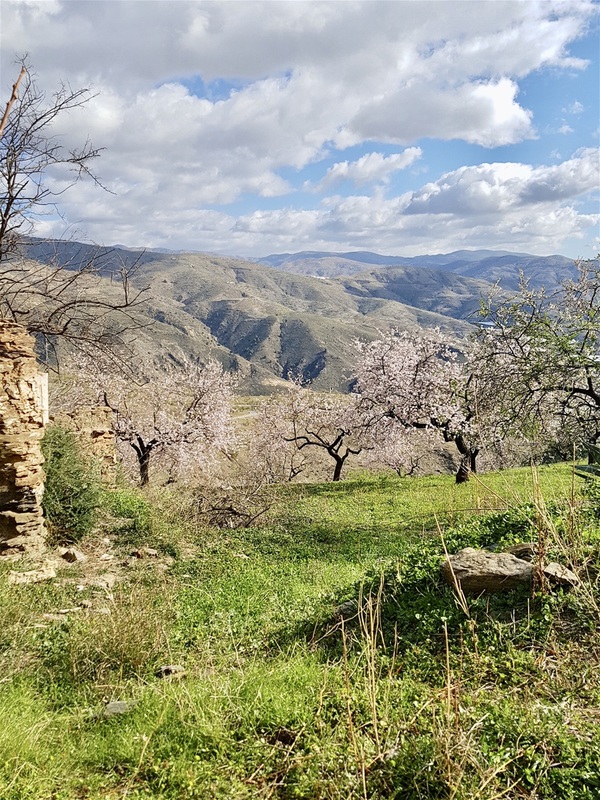 Altabeitar is the smallest of the seven villages which make up the ancient Moorish district of La Tahá in the high Alpujarras. Taha is the Moorish word for obedience and this whole region used to divided into separate groups or ‘Tahas,’ but this group of seven is the only one to retain the name. Mostly untouched by tourism, life in this isolated area life goes on much as it always has, in an unhurried and peaceful manner. We find out the village stands at 1,150 metres above sea level, hence the early morning chill, and, supposedly, has 31 permanent residents. There are more than 31 houses, so even if they have one each there won’t be a housing shortage and the church looks as if it could contain the population three times over. 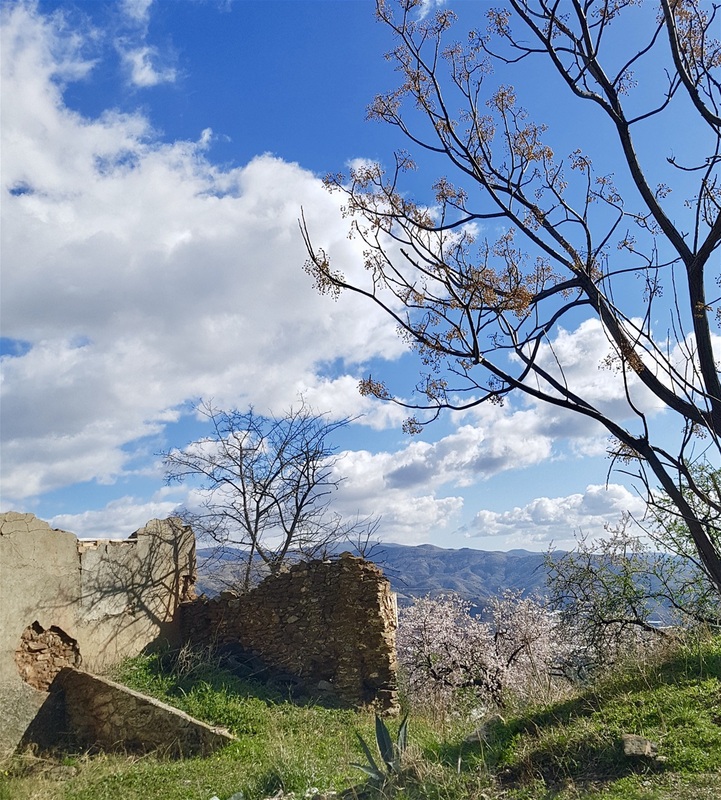 We go to see whether the nearby village, Pitres, is any livelier. Well, it’s bigger, quite a lot bigger, but still not exactly lively. 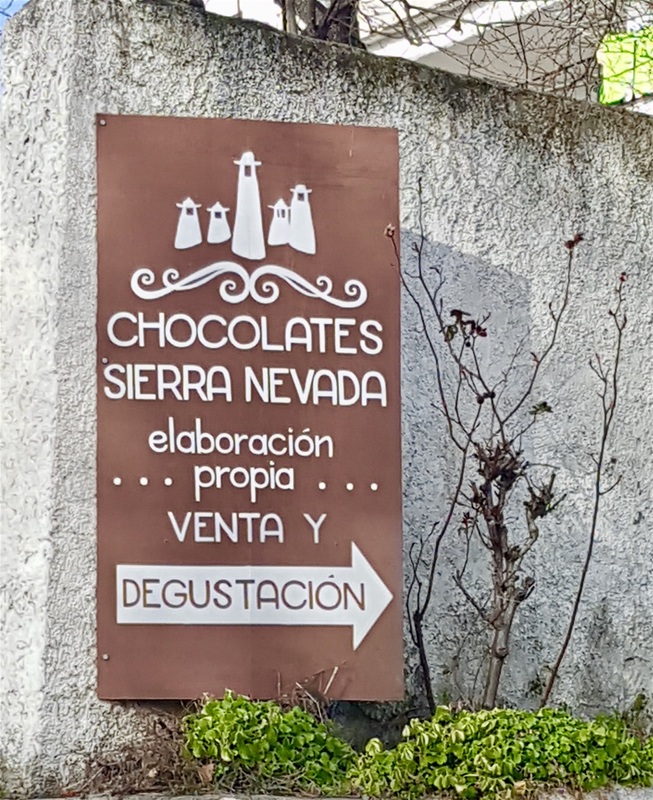 There’s an artisan chocolate company – Chocolates Sierra Nevada - here so we’re quite excited, but not for long as it’s closed. As is everywhere else, apart from a tiny shop, a terraced cottage with one room turned into a ‘shop’ which contains absolutely nothing we want to buy. 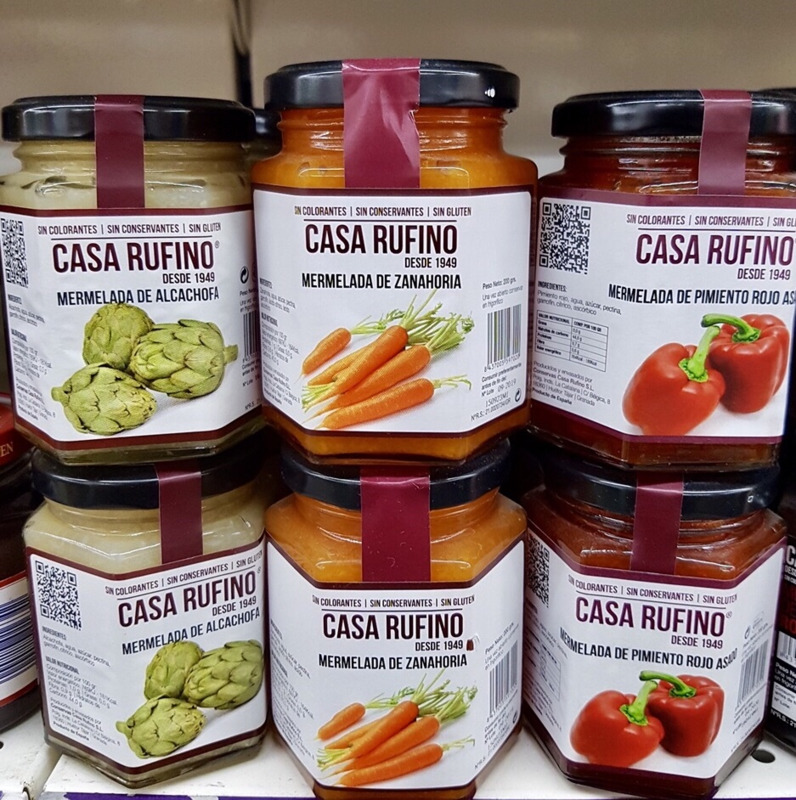 They do have such oddities as carrot jam and artichoke jam for sale though. ‘Who buys this stuff?’ I wonder. Marigold shrugs her shoulders. The man standing in the doorway, presumably the owner, walks over and points at a display of firelighters which he’s taken the trouble to arrange in a pyramid shape. We smile in appreciation and finally find a small bag of biscuits to buy so his feelings won’t be hurt. Oh, the pressures of being a foreigner in another land, ever mindful we are representing our nation in the eyes of others. Hint, that last sentence may contain sarcasm. Even though it’s true as well. Let’s call it a slight exaggeration then. The biscuits were dreadful, of course. Soggy, probably went out of date in the last century and almost entirely tasteless. Yes, of course I ate them. Marigold is far too fussy sometimes. She mutters something that sounds like ‘war boy,’ a reference to the one time I mentioned spending my early years in the days when rationing was in force. Times were hard then, I said, only having one potato a week to eat and wearing my grandad’s old clogs. Not to mention wearing a gas mask every day to make sure it didn’t go to waste. It falls on deaf ears. 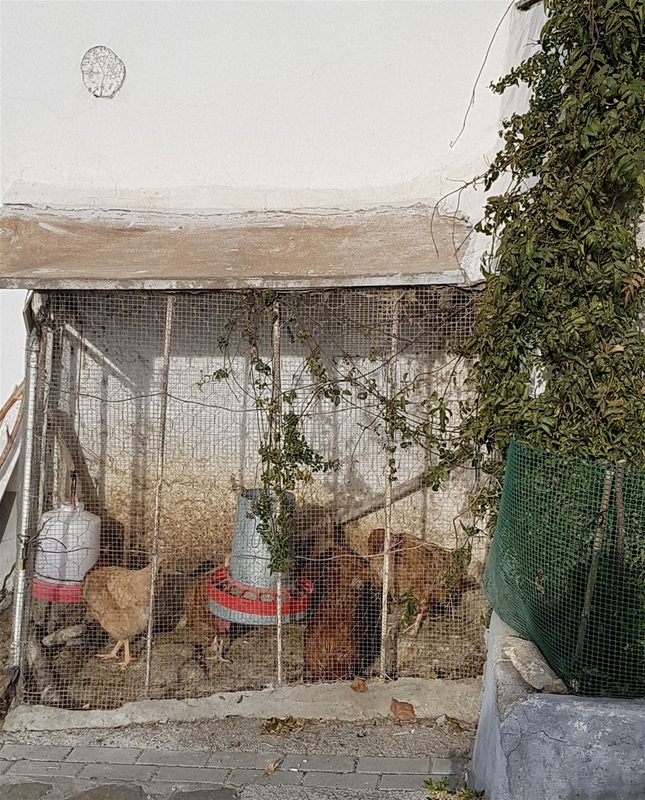 There’s a small cage with a few chickens in next to one of the houses, the shop in a front room and that’s about it for Pitres. The chickens do their best, but even their efforts to please can’t sustain us for long. There are bars here, two discos, several hostels and a hotel, but they’re all closed. Bet this place is a riot in summer. They may even get the chance to buy chocolate. 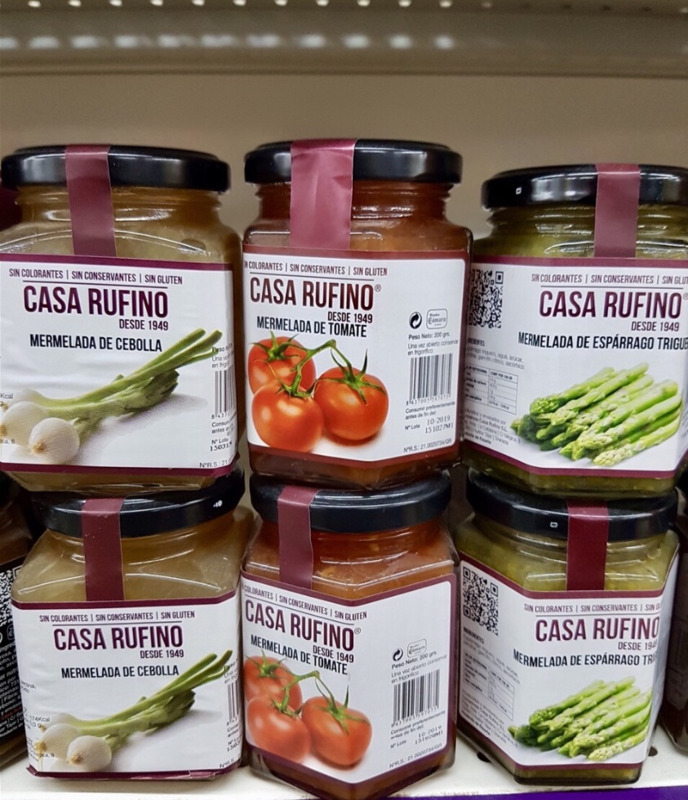 Spring onion jam too. Yes, really. I have photos to prove it. Pitres is somewhat a figure of fun locally as a politician once asked the residents what amenities they would like him to obtain on their behalf if he was elected. The villagers conferred and came up with the idea that Pitres could become a port so the men would have more work. The politician didn’t hesitate before agreeing to bring the sea up the mountain to Pitres and thus set up a port. There’s a boat and a big anchor to greet visitors to the village so at least they’re now able to laugh at their own expense. 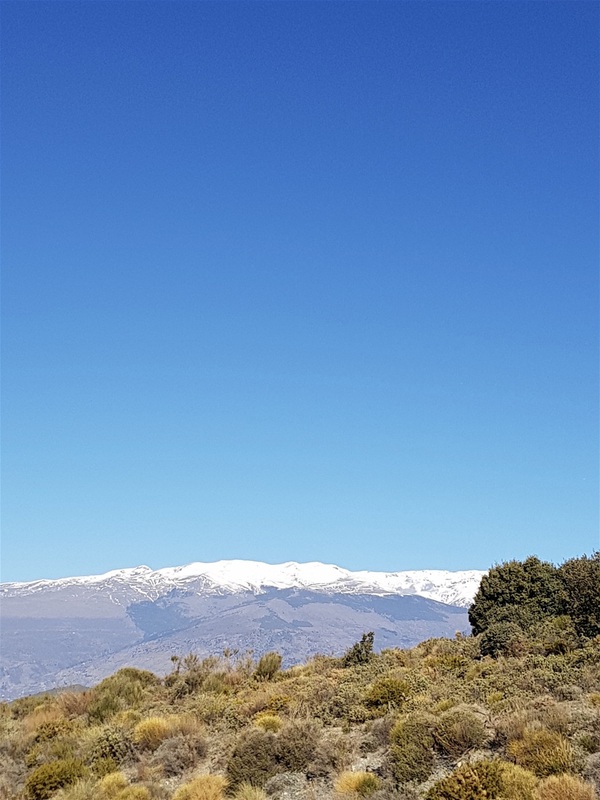 We drive next to three of the nearest villages: Capileira, Bubion and Pampaneira, perched on the slopes of snow covered Mulhacen, the highest point in mainland Spain. 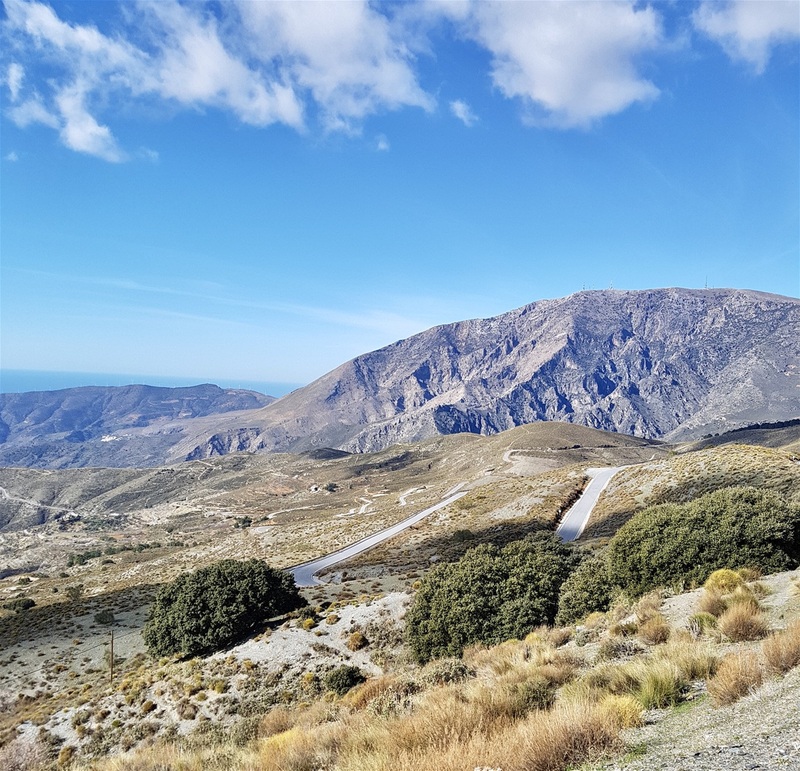 We start at the highest point, Capileira, and work our way down. Capileira is not the highest village we’ll reach today, it’s only the second highest in the region, but we notice the immediate drop in temperature. When we left the coast a couple of days ago the car showed 18 degrees as the outside shade temperature; up here it’s showing as 2 degrees and the ‘warning, frost alert’ symbol lights up even more brightly on the dashboard. Even so, it’s sunny, there’s blue sky above and we wander around looking and feeling like (inadequately equipped) Polar explorers for at least ten minutes, admiring hand woven rugs we don’t need, artisan style rustic pottery that’s ludicrously expensive and of course hams. 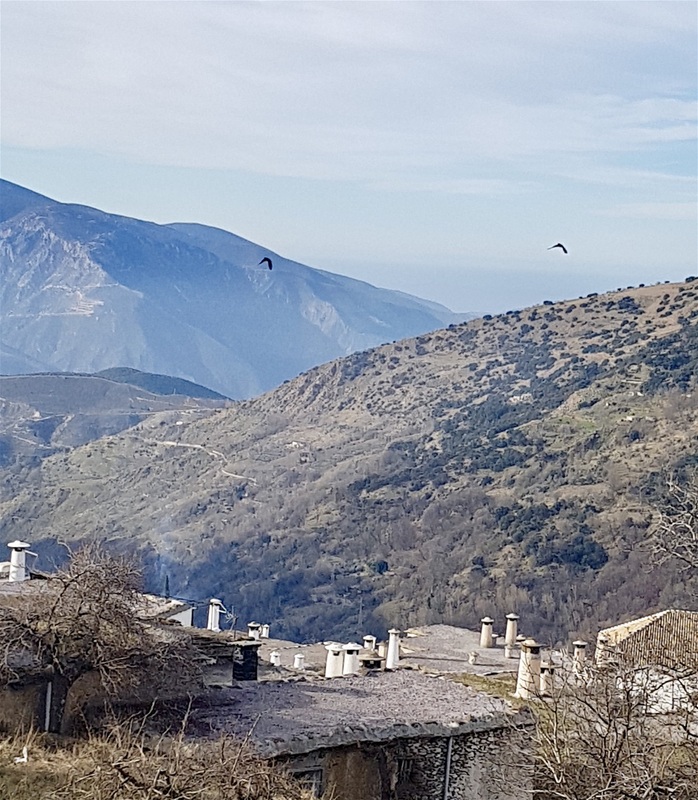 The Alpujarras are famous for hams, hung outside in the frigid mountain air to dry naturally and add flavour. Alpujarras hams are highly prized, the Spanish love them, and we were offered samples wherever we went today. Far more samples than normal, this generosity must be prompted by the scarcity of tourists in the winter months. Marigold declines all the offers; I accept – it’s a ‘Marmite’ situation. Or, as Marigold says, quite often, I’m just greedy. 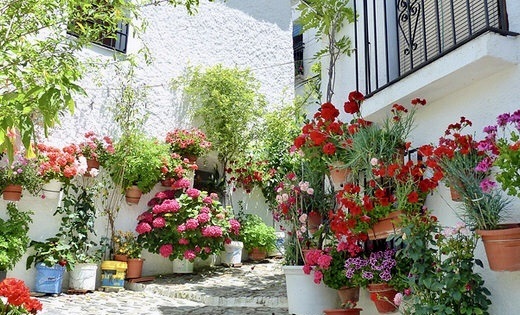 We love the haphazard nature of these mountain villages, narrow streets twisting and turning, whitewashed stone walls and pots of flowers everywhere – more geraniums than Kew Gardens. There’s a uniformity about the roofs, even a ‘new build’ house has a flat roof, but there aren’t many new houses, this place looks much the same as it did a few hundred years ago. Flat stones are laid over chestnut wood beams and the gaps are packed with clay and grey sand. 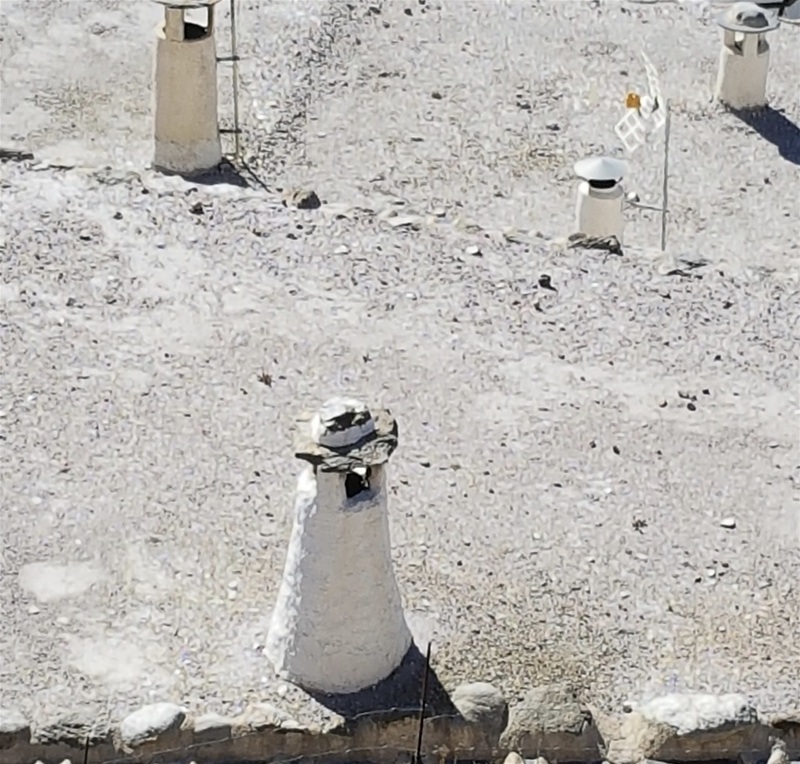 As they do in the Moroccan mountains, these roofs appear to be a misguided design choice, but they endure throughout even the harshest climate. On top are tall chimney stacks, often several of them on the same roof and they offer a touch of individuality. These houses were built with the living quarters above a ground floor level where the animals were housed, pigs, goats, chickens, perhaps a mule. 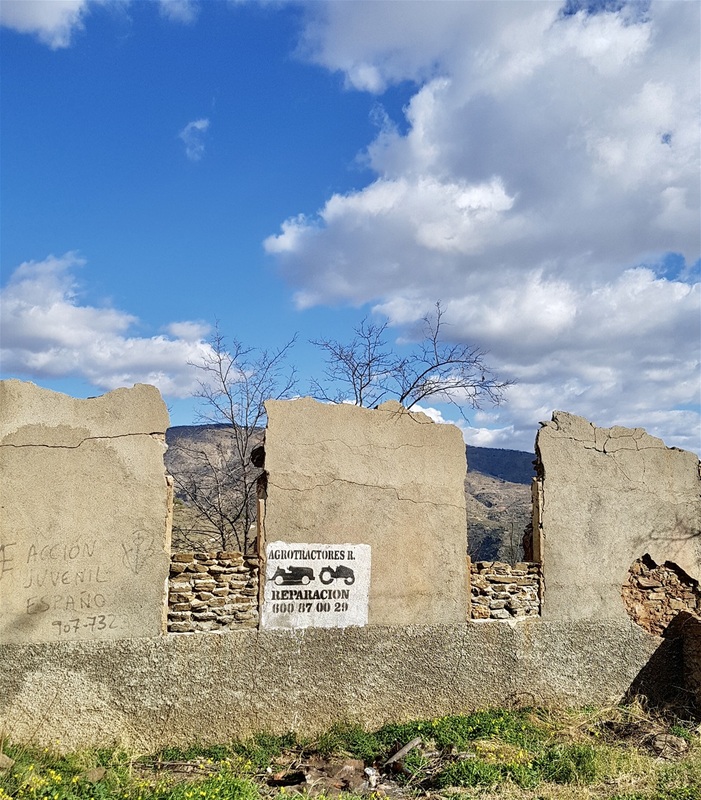 That’s still the case in the High Atlas, but here we glimpsed only the odd motorbike or washing machine, not a pig to be seen. Such is progress. 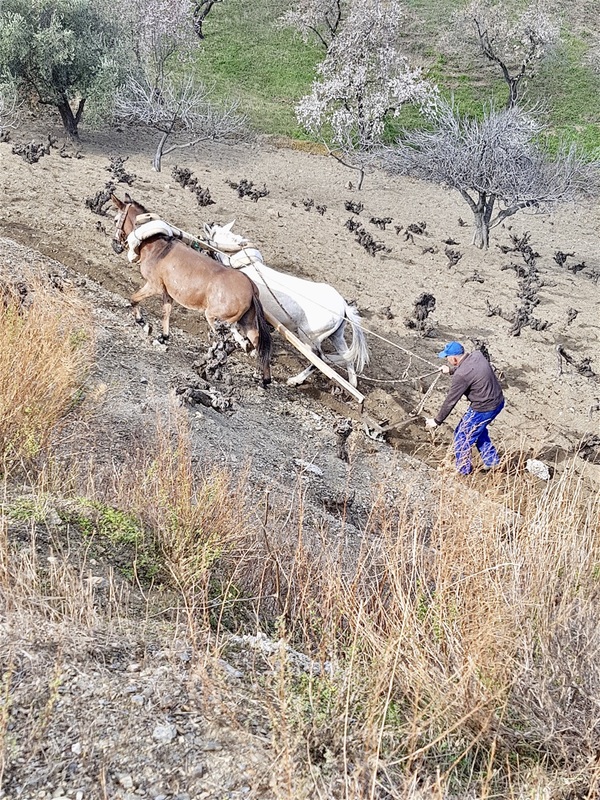 Later on we’re driving merrily along, admiring the tenacity and optimism of farmers who cultivate vines to make wine at such high altitudes when we see one such farmer hard at work. 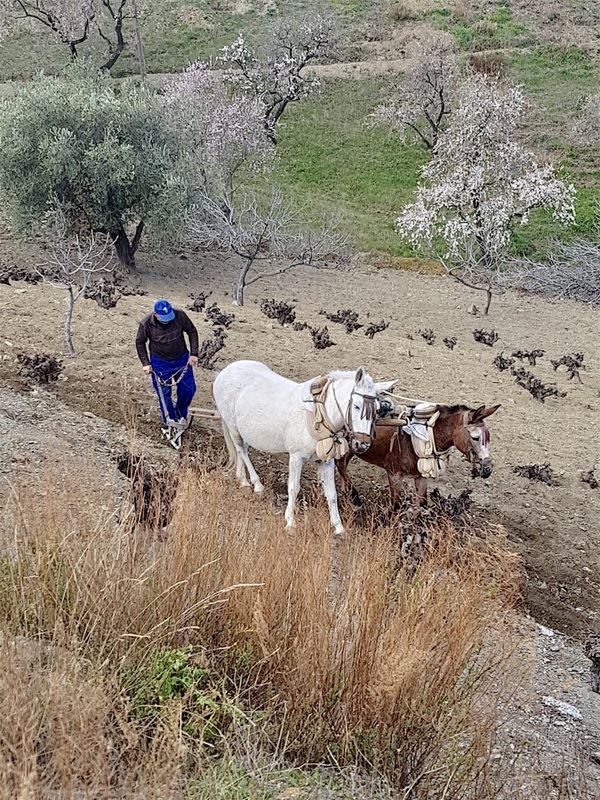 He’s following a pair of horses, ploughing the land between rows of vines. 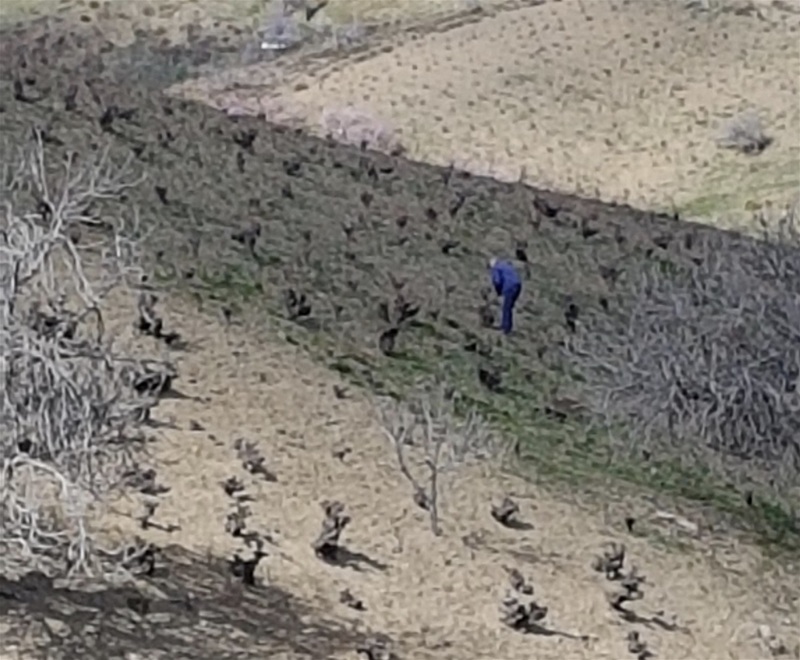 This isn’t an immaculate Bordeaux vineyard, it’s a scruffy, stony field, on a steep slope many hundreds of feet above sea level and surely these ancient vines will struggle to produce enough grapes to justify his labour. We decide the low yield from these venerable stumps will produce either very bad wine or something very special. The oenophile in me hopes it’s the latter. 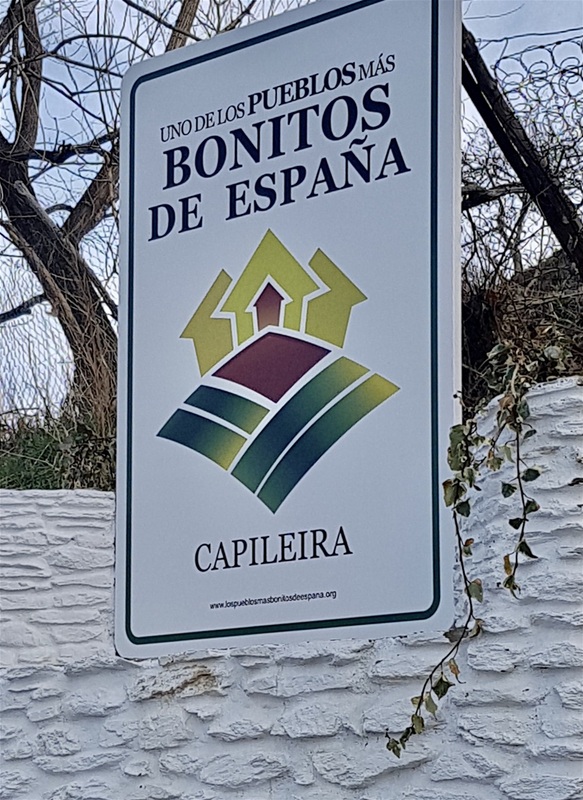 There are four official languages in Spain (Castilian, Catalan, Basque and Galician), plus several regional dialects such as Andalusian and Valencian. In England, natives of Liverpool, Gateshead and London speak the same language, but in full flow their accents make perfect understanding difficult for many of their fellow citizens. Spain is a big country and a Catalan or Basque speaker would be almost unintelligible to a Spanish person in Madrid. 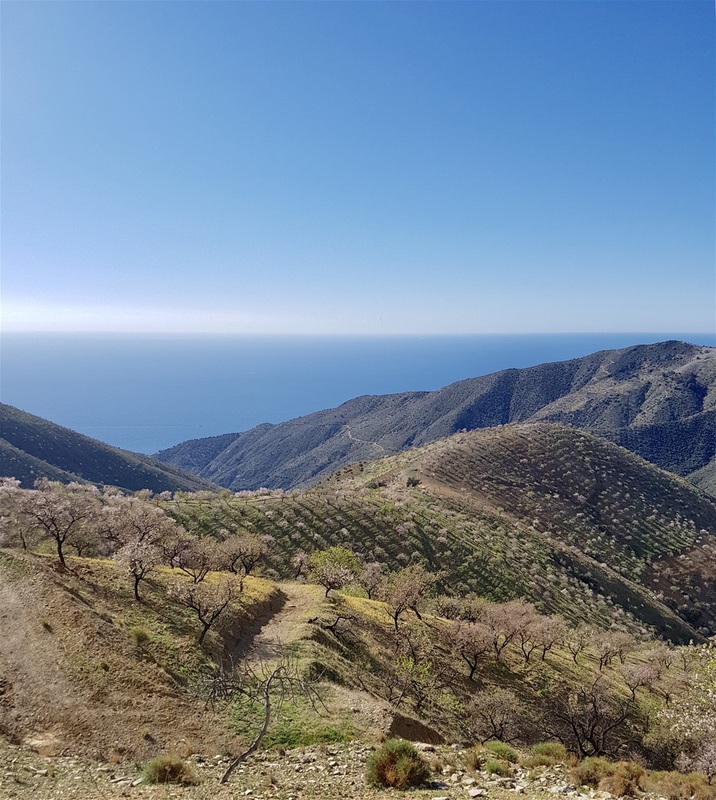 When we bought our first finca our closest neighbour came over for a ‘chat.’ We spoke and understood a little Spanish, but couldn’t understand a word he said. A few days later a Spanish friend came to visit us. He’s a university lecturer in Barcelona, a throughly cultured and erudite man, like all our friends, (!!!) but his ‘Spanish’ proved sadly inadequate when he tried to speak with our neighbour. We were reminded of that day as we tried to speak with the man following along behind his horses. Even the tried and trusted truncations of the ‘me Tarzan, you Jane’ variety proved useless. Whatever variation of Spanish he was speaking was far beyond our comprehension. 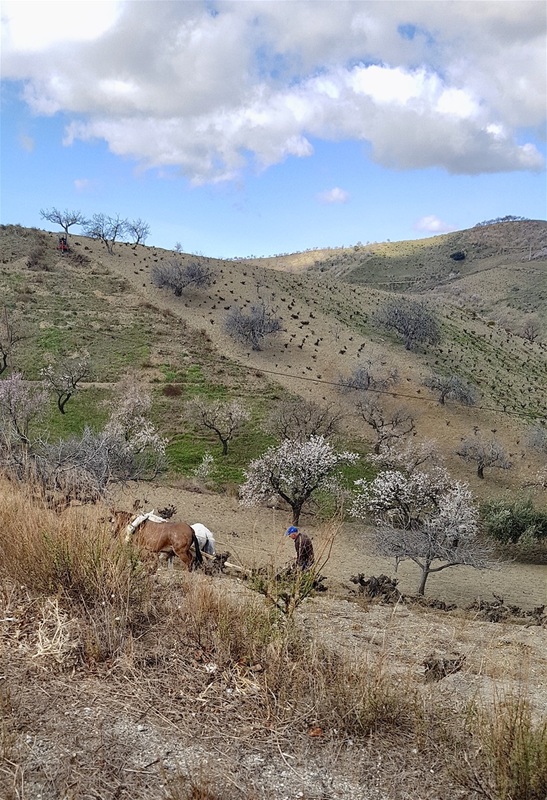 Persevering, I learnt the two horses were ‘amigos’ and had been together as a pair for twenty years and that his father had ‘retired’ from ploughing two years ago. At the age of 88! He pointed out his father, several fields away, snipping away at the vines on a steep hillside. Presumably, this pruning work being the ‘light duties’ he now performed after all those years of ploughing. ‘I don’t even think I could get up to where he is working,’ Marigold said. We waved goodbye after asking if we could take a photo of him and his horses. He was happy to do so and we left with our respect for these Stakhanovite sons of the soil raised even higher in our estimation. A few miles further on we saw two very old men shaking olive trees and collecting their bounty in a net. No fancy machinery, just a couple of octogenarians doing what they’ve done all their lives. Will the next generation be performing back breaking labour into old age as subsistence farmers as their fathers did and their fathers before them? We already feel we know the answer to that question. This may be the end of a way of life that’s survived over many hundreds of years. 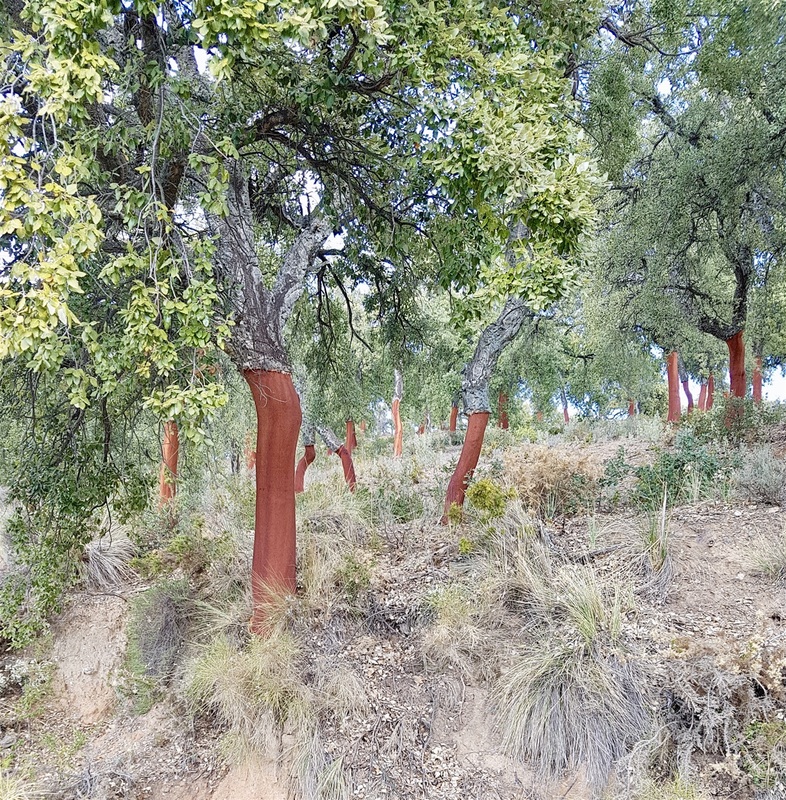 There are cork trees, chestnut trees, olive and almond trees and a riotous display of blossom lining the roads and always, always the views of the surrounding hills are magnificent. On the road to Bubión we watch a pair of eagles swooping and soaring, their keen eyes no doubt watching the valley floor far below. As we’re so high, they’re practically at our eye level. I try, without success, to capture them on film, but they’re so fast and change direction so unpredictably I give up. Later, I see they’ve both appeared in shot in another photo I took of the hillside views opposite and I hadn’t even noticed them at the time. As we prepare to drive on another pair of eagles appear, much higher in the sky. Not a good day to be a rabbit in this valley. We’ve seen many walkers setting off for a day in the hills, festooned in many layers of clothes and sturdy boots. Most of the visitors we’ve seen are here for the walking, but it’s an area renowned for bird watching too and we see a pair seemingly equipped for a trip to Antarctica getting very excited about a pair of hoopoes, of which we’ve seen dozens on this trip, completely oblivious to the four eagles soaring overhead. Worth buying as a building project? Maybe not.